This is so quick and so easy and so tasty. And what I love about it is baking the shrimp (les crevettes.) When you’re in a hurry at dinner time, you can just pop this in the oven while you set the table and make the salad. No need to babysit it, the way you do when you sauté the shrimp on the stove for traditional shrimp scampi. And a quick lesson on scampi. 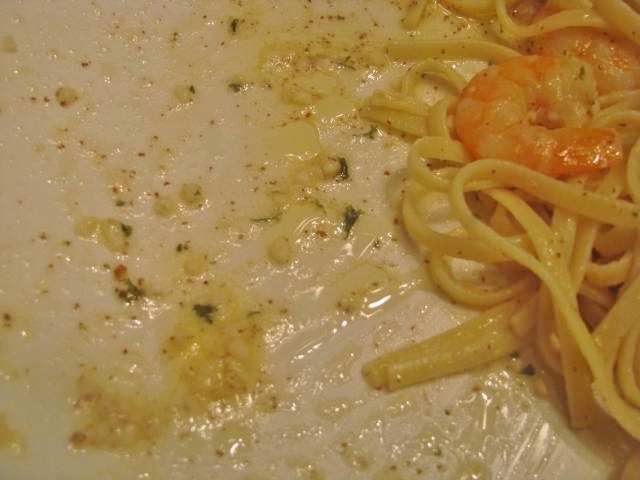 Scampi is the type of seafood originally used in this Italian dish. Scampi are mini-lobster crustaceans, which can be caught in the Mediterranean or Atlantic Ocean, and are in a different family than shrimp and prawns. They are also known as Norway Lobsters. In French, langoustines. In Italian, scampi. Confusing as always, in America we refer to “scampi” as the style of preparation (with white wine, garlic, butter, and lemon) rather than the main ingredient, scampi, which was originally used in this dish. 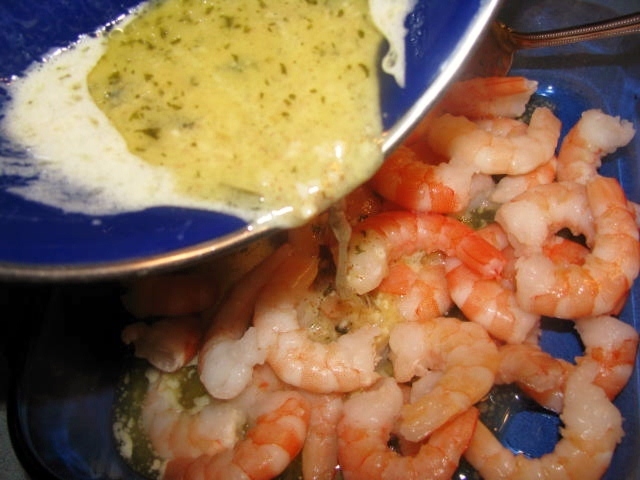 Long story, very confusing and not very short, this recipe is for shrimp with an Italian wine-garlic-butter-lemon sauce that was traditionally served with scampi (mini-lobsters) but we now serve it on shrimp and call it scampi, but it’s really still shrimp. Capisce? Never mind. It doesn’t matter what we call it. It’s delicious! This can be served over linguine or simply with a loaf of crusty French bread on the side to soak up all of the juices. 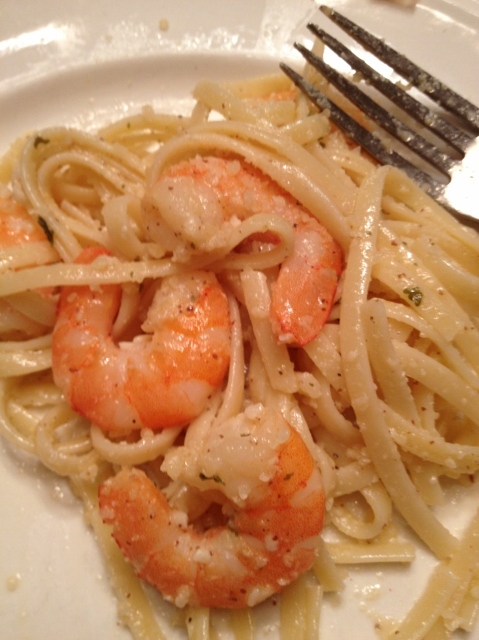 If using pre-cooked shrimp, start the pasta before the shrimp. 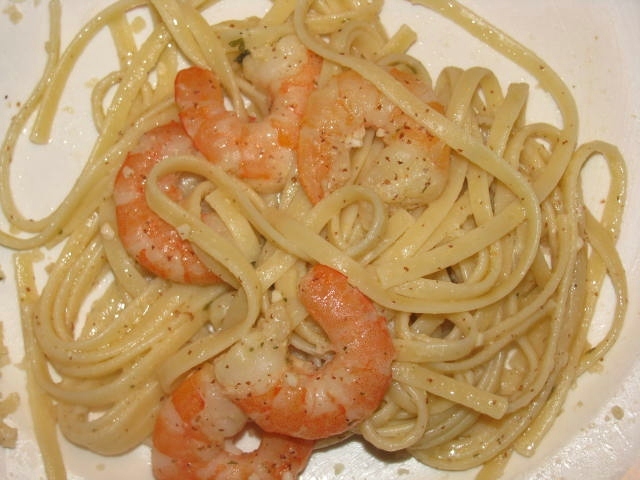 If using raw shrimp, start the pasta after you have put the shrimp in the oven. 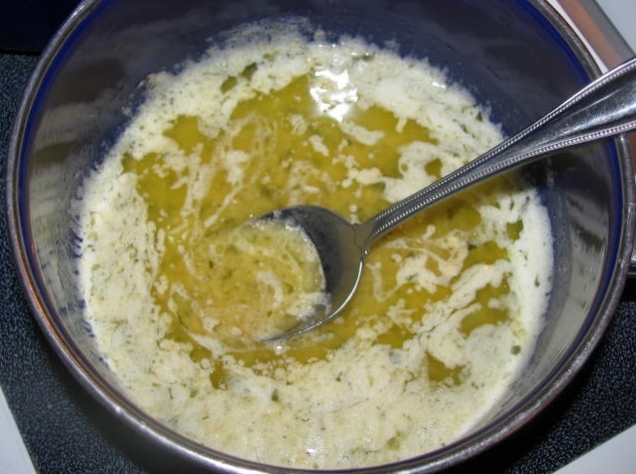 In a small saucepan combine butter, olive oil, mustard, white wine, lemon, and garlic. 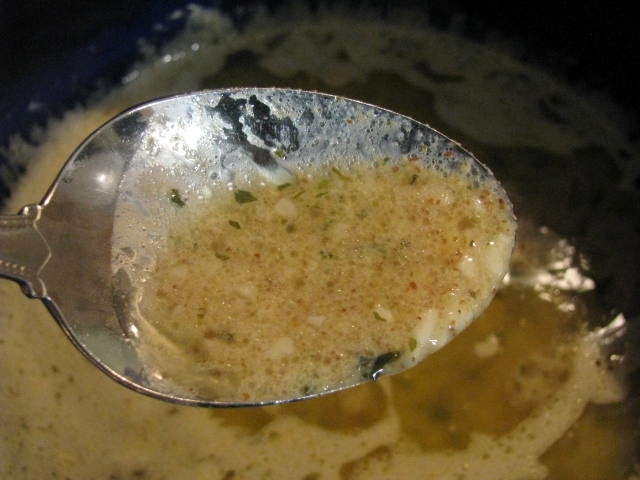 Heat on medium-low, until butter is melted and flavors have blended. * If you like a little more lemon zing, wait until they come out of the oven to add the lemon. ** If using dried parsley, add that now too. Garnish with fresh parsley just prior to serving. *** If you like spicy-heat, add some crushed red pepper flakes. Taste it and add anything that you like. You’re the chef! Arrange shrimp in baking dish. These are pre-cooked, shelled, and de-veined, but raw shrimp works, too. Admire the lovely shrimp in the olive oil and butter bath. Bake in preheated oven. 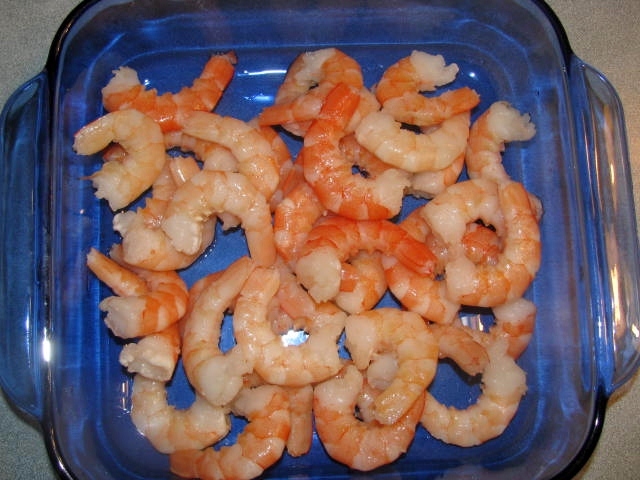 If using raw shrimp, bake for about 10-12 minutes for medium shrimp and 15 minutes for large or jumbo, until shrimp are pink and no longer translucent. If using pre-cooked shrimp, it only takes a few minutes until they are heated through. Whether using raw or pre-cooked, do not over cook as the shrimp will get rubbery and tough. Pass the crusty French bread to sop up the sauce! Preheat oven to 450°. 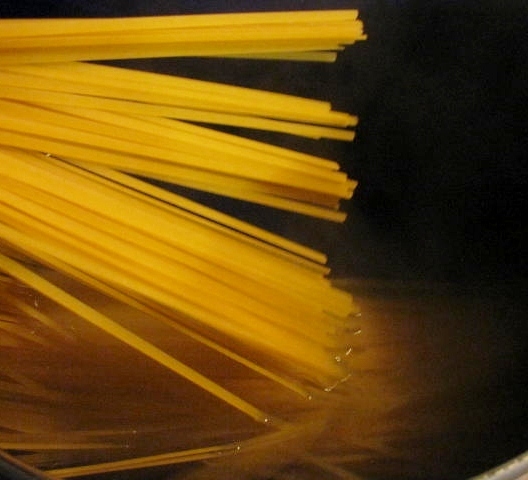 Prepare linguine. 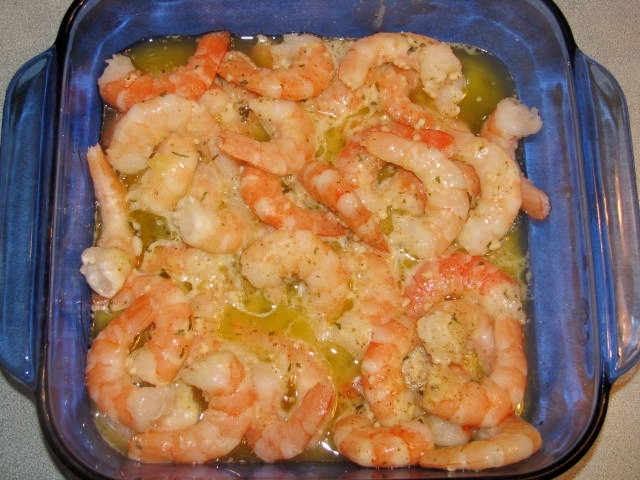 Arrange shrimp in baking dish. Pour the butter mixture over the shrimp. Bake in preheated oven until shrimp are cooked, pink in color and no longer translucent. 5 or minutes or until heated through for precooked shrimp. 10 – 12 minutes for medium-sized raw shrimp. 15 minutes for large or jumbo raw shrimp. Serve over linguine or with a large loaf of crusty, French bread, and a salad. I love the smell of this … !!!! This goes on file. I love the smell, too, when I’m making it. The garlic, butter, wine, MMmmm. Anticipation! This I give a try next week. I could really feel the smell when I looked at your photos. This sounds delicious! The movie that you referred to…Forest Gump!? (1994). You win the invisible prize! We had this for dinner tonight, to rave reviews from all involved! Thanks for the easy dinner recipe. So glad everyone liked this recipe! Thanks for taking the time to comment on it. Sorry – I missed your question earlier. You can use some low-sodium broth if you have some handy, but don’t open a container just for this. You may also substitute water, but it will be missing the wine flavor. Hope you like it! Thank you for stopping by. Merci!